Catcher Rohith Mahanty scoops a bouncing pitch from the dirt in the De Anza College baseball game against San Francisco City College on Thursday, April 7. 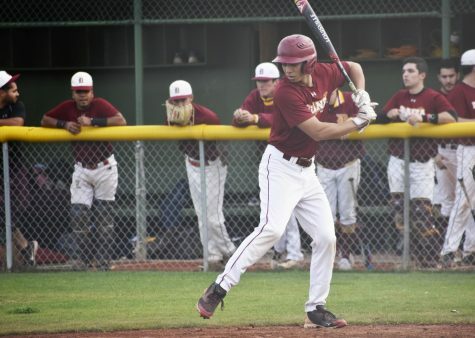 The De Anza College baseball team rallied late but could not lift themselves out of a five-run deficit, losing to City College of San Francisco 8-7 Thursday, April 7. The Rams did most of the damage in the fourth and fifth innings, scoring eight runs on only three hits. 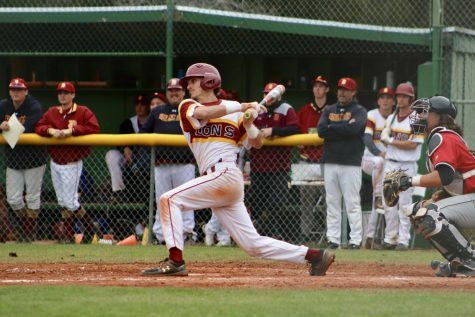 Wild pitches, fielding miscues and errors cost the Dons, and allowed the Rams to pull ahead. The Dons got off to a hot start driving in three runs in the first two innings and led 3-0 until the fourth. Center fielder Chris Castillo drew first blood when he hit a double in the first, sending right fielder Drew Mount home. Castillo went 3 of 4 with two runs and an RBI in Thursday’s game. Infielder Devon Canty extended the lead by crushing a ball to deep center field for a triple. Canty finished as the RBI leader, going 3 of 5 with four RBIs. 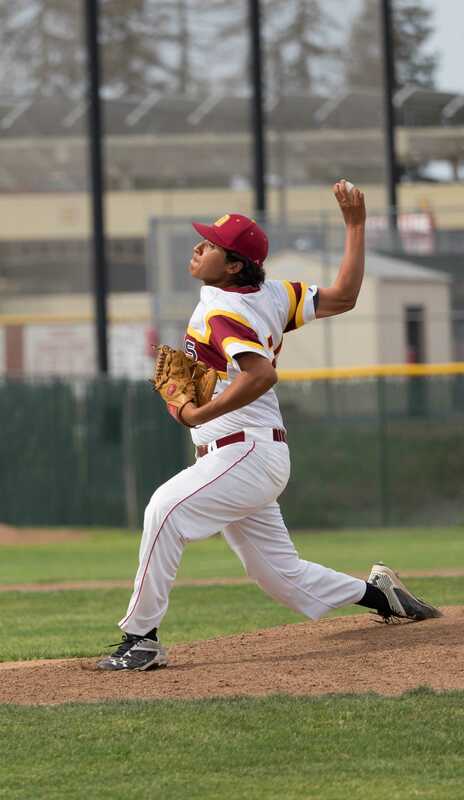 Freshman Justin Contreras started the game for the Dons and pitched three clean innings, giving up only one hit and one walk. But in the top of the fourth, Contreras walked two batters and hit another, loading the bases with only one out. Head coach Erick Raich pulled Contreras and called on the freshman right-hander Chris Johnson. With the bases loaded, Johnson’s first pitch was wild and the Rams sent a runner home. 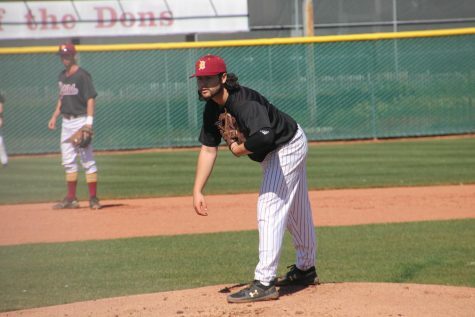 RHP Chris Johnson throws a pitch during the Dons’ loss against San Francisco City College on Thursday, April 7. The Dons did not help their pitching staff on defense. In the subsequent play, two more runs scored on an errant throw to home by shortstop Kevin Hahn, one of three errors committed by the Dons. Johnson continued to struggle finding the plate, allowing two earned runs, hitting two batters and walking another before Raich yanked him in the fifth. Sophomore left-hander Alex Zarate came in for Johnson in the fifth, but he also struggled and surrendered four more runs (two were counted against Johnson) before ending the inning. After five innings, the Dons found themselves in an 8-3 hole. Raich said that his team should have beaten the Rams, but his pitchers simply could not throw the ball over the plate. Despite the poor pitching and fielding, the Dons generated steady offensive production and put runs on the board with ease. Raich said he is encouraged by the way his team fought back until the final out. Three-and-one-third innings of shutout pitching by Kevin Hahn and tenacious offensive play after two abysmal innings aided the Dons’ comeback effort. 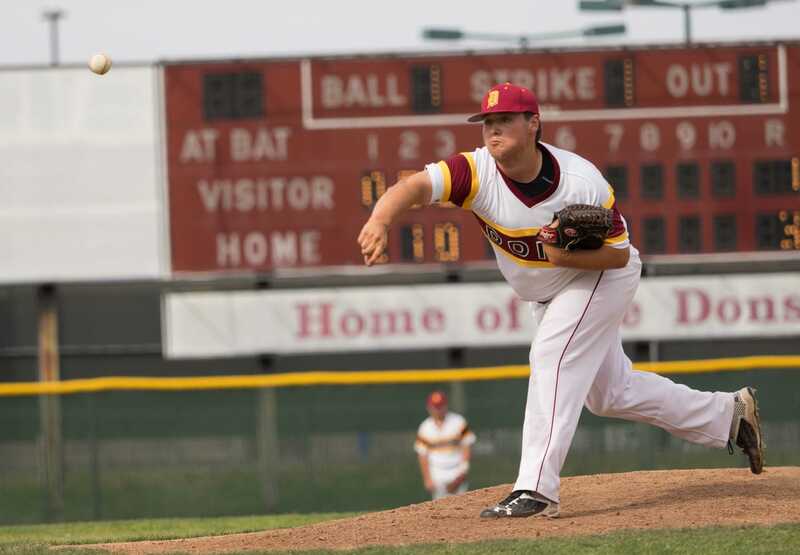 RHP Justin Contreras throws a pitch in the Dons loss against San Francisco City College on Thursday, April 7. Contreras pitched three run-free innings before being pulled in the fourth inning. Good at-bats from second baseman Nolan Dempsey, Mount and Castillo shortened the Rams’ lead over the Dons. Two runs in the fifth inning and one run each in the seventh and eighth had the Rams on their heels going into the bottom of the ninth with a score of 8-7. 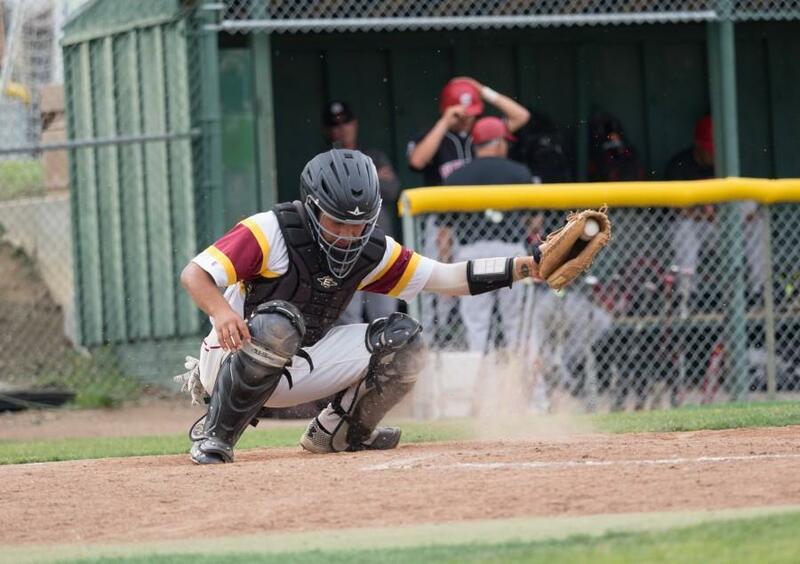 With two outs and a runner in scoring position, catcher Roy Mahanty had a chance to tie the game in the bottom of the ninth, but he popped it up in the infield and the ended the game. 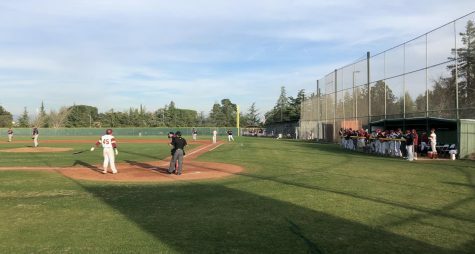 Although the Dons walked away with a loss, Raich said he saw positives in the way his team fought back on offense, coming back from a five-run hole. The Dons loss was the second in a row and Castillo stressed the importance of winning these games as the season winds down and playoffs inch closer. The Dons will play their next home game against conference rivals Chabot College on Tuesday, April 12 at 2:30 p.m.